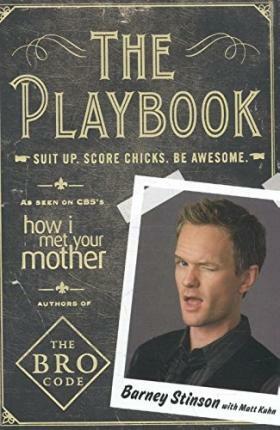 ... and other greatest hits from Barney Stinson's secretPlaybookof legendary moves. So suit up and get ready to be schooled in awsomeness. Matt Kuhn is a staff writer for the CBS hit show "How I Met Your Mother" and helps write Barney's Blog on the show's website. He lives in Los Angeles, California. Barney Stinson works at a corporation, and regularly "suits up" to help his lovelorn and altogether pathetic bro Ted Mosby. Basically the coolest dude ever, Barney Stinson has been compared to the Fonz-but Barney is much, much more awesome. Stinson lives in New York, New York-and appears weekly on the hit CBS show "How I Met Your Mother" with his friends Ted, Robin, Lily and Marshall.